During many years of performing in various places and under sometimes difficult circumstances (not to mention precious rehearsal time or fast paced recording sessions) practicality has proven to be of uttermost importance. Conductors and musicians need to be able to read the sheet music easy and fast, often on darker stages or with a certain distance between them and the music stands (think of a trombone player or a conductor who has to keep one eye on the score while keeping the other on the orchestra). The ‘House Style’ for the Metropole Orkest has therefore been distilled from years of experience. It is a well meant suggestion, and except for a few points like the staff size for example, not supposed to be a set of rules written in stone. Current practice in regard to layout as described in most common books about arranging or orchestration is applicable to the Metropole Orkest as well. Of course, over time some ways of writing for the Metropole Orkest have proven to be more – or less – practical. We have collected our experience, and created an informational guide line in order to provide a smooth workflow for the arranger as well as for the library staff. • Always be sure that the arrangement you send is the correct and definite version. • Deliver your arrangement as a Sibelius, Finale and/or PDF file. • In case of a Sibelius or Finale file, it must be one file containing score and all parts in the correct format. • In case of PDF files, the parts have to be sent as separate files. • Do not ‘zip’ your files. • Use common font types, and avoid jazz-fonts. • Use a readable font size for lyrics, dynamics, articulation etc. • Always add tempo and tempo change indications to score and parts. • Use the same repeats in score and parts or otherwise do not create repeats at all. • Divisi parts in strings are written on the same staff unless independence of parts requires the addition of more staves. • Avoid the use of ‘8va’-notation. Notate pitches as they are, using the standard clef(s) for the instrument. • Clearly indicate instrument changes in score and parts. 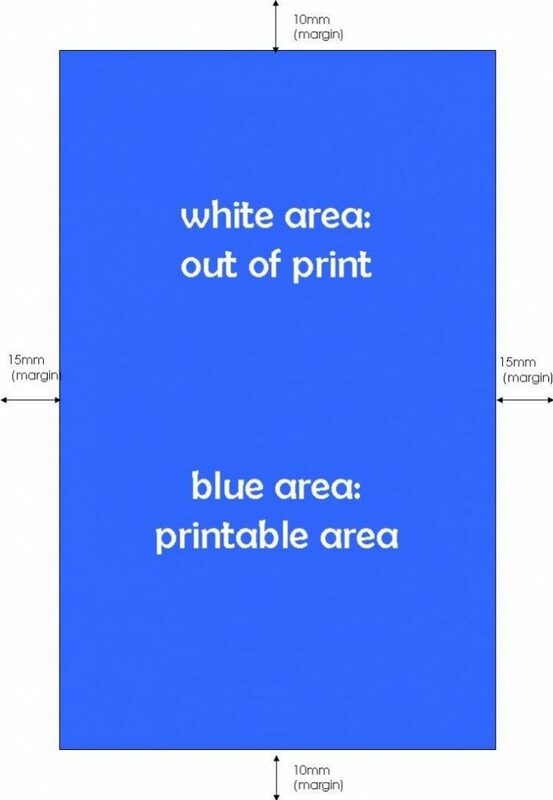 • Stay away from the minimum margins (the white area in the graphic below) or it will either not be printed, or become a victim of the binding.